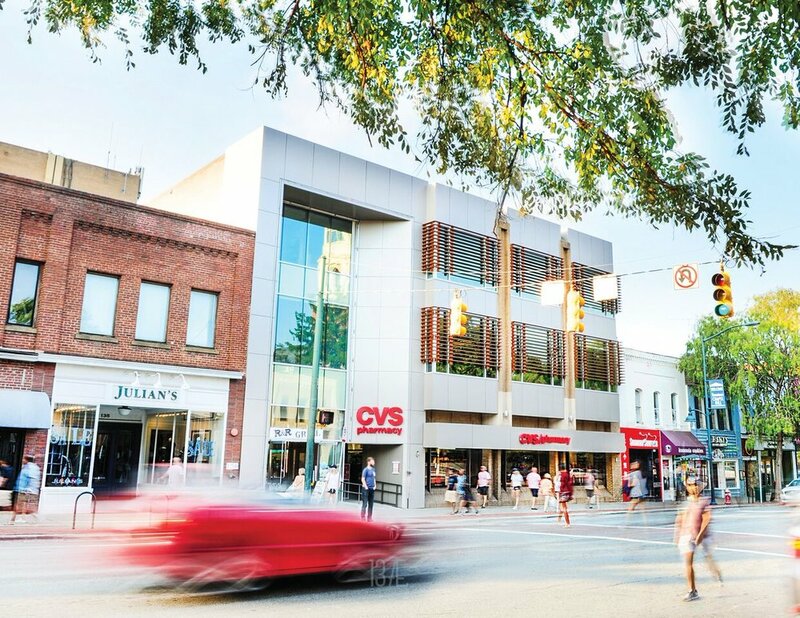 The Central, located at 137 East Franklin Street, is an iconic Chapel Hill landmark with unparalleled prominence and visibility in the center of downtown. Designed for connectivity, The Central is mere steps from the main campus of the University of North Carolina – Chapel Hill (UNC-CH) and immediately across from Porthole Alley, the new “gateway” into campus. Straddling two of Chapel Hill’s most notable commercial streets – Franklin and Rosemary, The Central serves as a unique and primary connector to campus and offers tenants and their visitors the ease of access to both streets and the vast array of dining, shopping, and service options that are just footsteps away. For complete details, download the brochure.